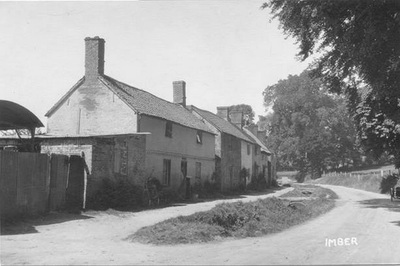 The Dring, now demolished. You can see the Bell Inn at the far end. 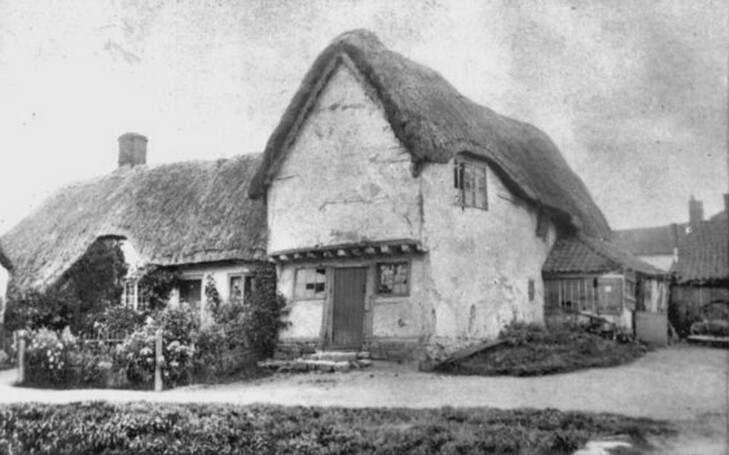 Mr and Mrs Andrew Davis, Baptist deacon, lived in the house with decorative brickwork. 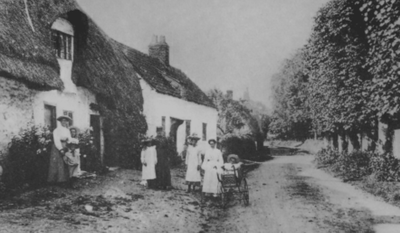 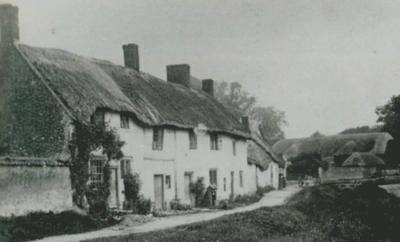 These cottages were in front of the existing council houses. Granny Staples's shop and cottage. 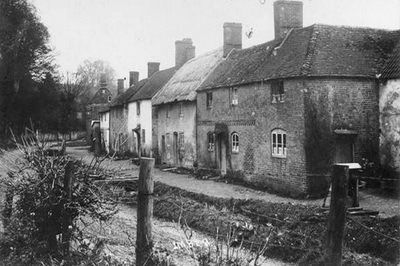 The Dring, now demolished, leads out of Imber towards Warminster.